Ready for a Positive New Year? Happy New Year! I hope you had a good time celebrating in the new year – whether it was a big party or a quiet evening at home. I was able to spend the evening with my parents, husband and kids. Lovely. Even though I’ve continued to focus on accomplishing things over the last few months, I’m excited about the possibilities of this new year. 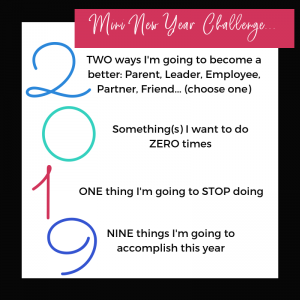 Here are 5 things to create 2019 as you want it to be! 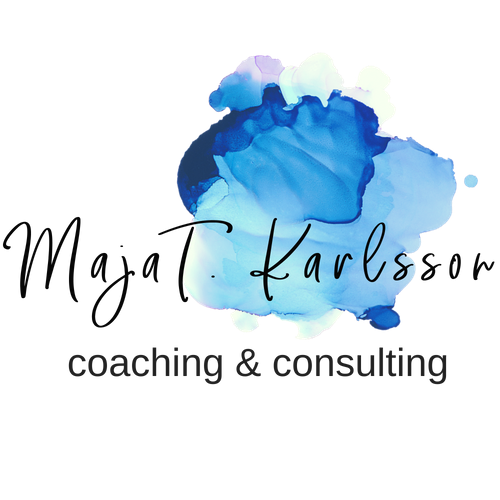 The idea of a word for the year is something I’ve been doing for few years personally and with my clients. It is powerful to have a word that you consider, choose, write down and reflect on throughout the year. Two through five are based on the image above, using the numbers “2019” to set targets for yourself. What are two ways you’re going to focus on being better in one part of your life? Write them down. What is that thing you always wish you hadn’t done after the fact. Decide you won’t do it any more! That thing you only do because of obligation. Decide to stop doing it this year! Make a list. Post it up where you can see it. Set target dates for completion. Review regularly! Watch just how much you can actually get done!!!! Wishing you a planful and connected January! Comment below on what your personal “2019” includes!